Cataract surgery involves removing the cloudy natural lens inside your eye which results in blurred vision and replacing it with an artificial lens. 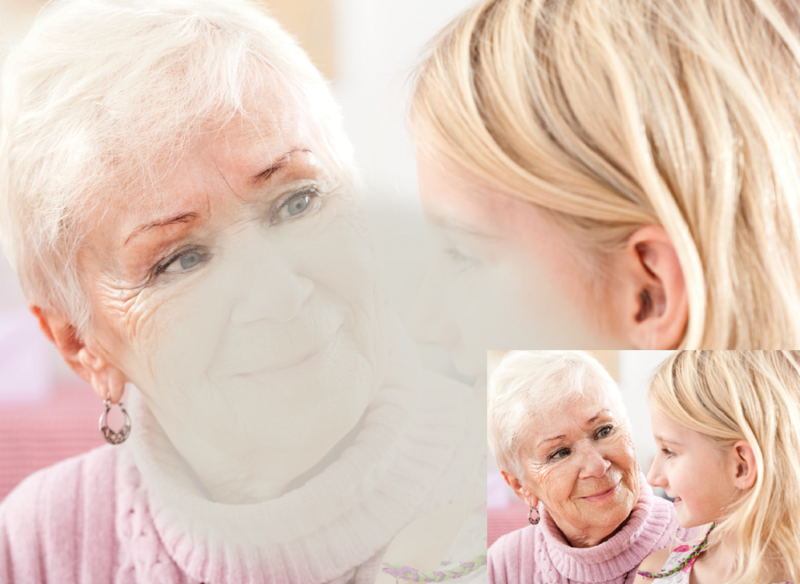 As you get older, the lens in your eye can gradually become less transparent which can result in blurred vision. This is known medically as having a cataract. Cataracts usually develop over a long period, causing your eyesight to gradually get worse over time. If a cataract is left untreated, the lens will eventually become so clouded that it’s impossible for you to see any detail, and your vision will become severely affected. You may also find that bright lights will cause glare or dazzle you more than they previously did. Cataract removal surgery at Kingsbridge Private Hospital Belfast is a simple operation to remove the cloudy lens and replace it with a clear artificial lens. The result of cataract surgery will be that blurred vision will be reduced and you will be able to see more clearly. Cataracts can be removed at any stage; you don’t need to wait until your eyesight is badly affected to have this simple operation and restore your clarity of sight. Cataracts can develop in one or both eyes. If you have cataracts in both eyes, it is recommended that you have them removed one at a time, starting with the eye that is most severely affected. If you would like to book an appointment or require further information on the available options, please do not hesitate to contact our private patient booking team via our online Cataract Clinic enquiry form. Alternatively, email info@3fivetwo.com or telephone 028 906 67878. What are the alternatives to cataract removal surgery? Removing the cloudy lens and putting a new lens inside your eye is the only way to restore your vision. Glasses or other visual aids can help you to see better in the short-term but they can’t be used to treat a cataract and if your vision becomes poor they may not help at all. At Kingsbridge Private Hospital we ensure you are in the best care possible. Our surgeon will explain how to prepare for your operation before the procedure. Our Consultant ophthalmologists (a doctor who specialises in eye health, including eye surgery) will measure your eye and vision. These tests will help to decide which artificial lens will be best for you, so your vision is as good as possible after the surgery. Cataract surgery is usually done as a day case. This means you can have the procedure and go home the same day. The operation is usually done under a local anaesthesia. This completely blocks pain from the area around your eye and you will stay awake during the procedure. You may be given the local anaesthetic as eye drops or an injection. Cataract surgery may at times be done under general anaesthesia, although this is less common. If you have a general anaesthetic, you will be asleep during the operation. At your consultation, you will be informed what will happen before, during and after your procedure, and any pain you might have after the operation. The operation is a simple procedure and usually takes around 30 minutes. Eye drops are used to widen your pupil and relax the muscles in your eye. This makes it easier for the eye to be examined and the lens to be removed. Once the anaesthetic has taken effect, your surgeon will make tiny cuts on the surface of your eye. Although your eye is open during the eye surgery and you will be awake, you won’t be able to see the instruments being used, however you may see light and some movement. You won’t feel any pain during the procedure. A special instrument is used to break up the cloudy lens. You may hear a soft buzzing sound when it’s being used. He or she will remove the broken lens from your eye (cataract removal) leaving behind the capsule it sits in. The new artificial lens is then put in, where it will stay permanently. Your surgeon will usually leave your eye to heal naturally without stitches. After a local anaesthetic, it can take several hours before the feeling comes back into your treated eye. Your eye is likely to be covered with a protective pad, which you will need to wear overnight. You may need pain relief to help with any discomfort as the anaesthetic wears off. You may be given antibiotic eye drops to use at home to help prevent an infection while your eye heals. You may also be given steroid eye drops to help control inflammation in your eye. You will usually be able to go home when you feel ready. However, you will need to arrange for someone to drive you home. We recommend you have a friend or relative stay with you for the first 24 hours after your eye surgery. If you have been prescribed antibiotic eye drops, it’s important to complete the whole course. If you need pain relief, you can take over-the-counter painkillers such as paracetamol or ibuprofen. Always read the patient information leaflet that comes with your medicine and if you have any questions, ask your pharmacist for advice. You should start to get feeling back in your eye after a few hours. Your blurred vision should start to improve within a few days, however it may take a few weeks to heal completely. There are some important instructions to follow for the first 10 days after cataract surgery. The main ones are listed below. Don’t touch or rub your eye. If you’re a restless sleeper you can wear an eye patch at night to protect your eye. Don’t do any heavy lifting or strenuous exercise for the first few weeks after the operation, as this can increase the pressure in your eye and could put strain on your healing scar. If you go out when it’s windy, protect your eye from grit and dust. redness in your eye that continues to get worse. It usually takes about two to six weeks to make a full recovery from cataract surgery, but this varies between individuals, so it’s important to follow your surgeon’s advice. Once your eye has healed, you may need to have an eye test and new prescription glasses. Please call us on 028 906 67878 or email us at info@3fivetwo.com and we can arrange an appointment at Sweeney Eye and Hearing Care. What are the risks with cataract removal? As with every procedure, there are some risks associated with cataract surgery. Cataract removal risks are specific to you and differ for every person. These will be discussed at your consultation. mild pain, discomfort and bruising of your eyelid or eye. reduced central vision that usually returns to normal after treatment. Complications with cataract removal are very rare. The most common complication of cataract surgery is called posterior capsule opacification (PCO). This is when cells from the removed lens are left behind after surgery and begin to grow back. This causes problems with your vision similar to having a cataract. Further treatment can help correct this problem if it does occur. a tear in your lens capsule. If any of these complications occur, you may need to have another operation. At Kingsbridge Private Hospital we offer a number of options when it comes to payment. We work with all major health insurance companies and we also offer self-payment options including cash and credit and debit cards. If you wish to avail of finance, then we can put you in touch with our medical loan partner, Zebra Finance. A typical example of what you can expect to pay is illustrated below. Based upon loan amount of £2,198 repayable over 24 months. Depending upon your treatment, your clinic may require a deposit payment.